Bill Musgrave, who served as Minnesota's offensive coordinator the past three seasons, is headed to Philadelphia to become the Eagles' new quarterbacks coach. 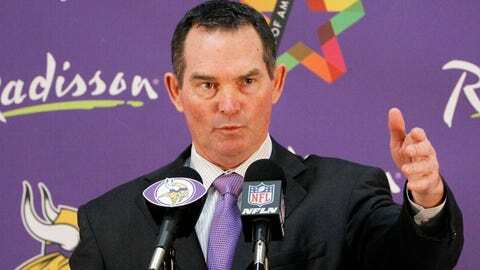 While Mike Zimmer wades through selections for his staff as the new Minnesota Vikings coach, it appears the holdovers from Leslie Frazier’s staff are looking elsewhere. 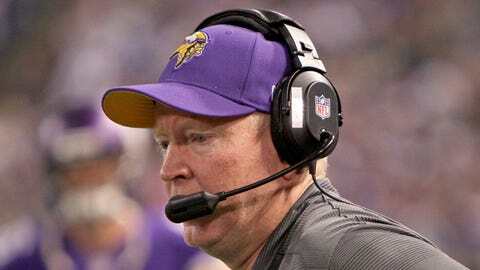 Bill Musgrave, the Vikings offensive coordinator for the past three seasons, will be headed to the Philadelphia Eagles as the quarterbacks coach, according to FOX Sports’ Alex Marvez. Marvez tweeted the news Tuesday, citing a source that Musgrave would join Chip Kelly’s staff in Philadelphia. The Vikings haven’t announced Zimmer’s staff yet, but multiple reports say Norv Turner has agreed to be the offensive coordinator and Miami Dolphins linebackers coach George Edwards will be the defensive coordinator. The team hasn’t announced any decisions with holdovers from Leslie Frazier’s staff. Musgrave, 46, led Minnesota’s offense to the No. 13 ranking in the NFL this past season with a mix of three quarterbacks in Christian Ponder, Matt Cassel and Josh Freeman. The Vikings ranked 20th and 18th in total offense the past two seasons. In Musgrave’s first season with Minnesota, the Vikings were 19th in scoring before finishing 14th the past two seasons. Known for his work with quarterbacks like Matt Ryan and Matt Schaub, Musgrave was also partially responsible for the development of Ponder, drafted No. 12 overall in 2011, Musgrave’s first season in Minnesota. But Ponder’s future as the Vikings’ quarterback was plagued by injuries and inconsistency. A former quarterback himself, Musgrave returns to Philadelphia, where he was the team’s offensive assistant in 1998.